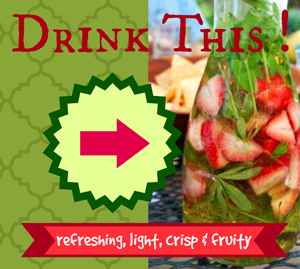 Whip up this delicious, refreshing, fruity and minty concoction in no time at all! Recipe courtesy of NGD reader Mary McCormick. Pour one bottle of white wine or sparkling apple cider into a pitcher or carafe. Add one pint of fresh, chopped organic strawberries. Add a handful of chopped fresh mint.